So how is Acer's revival of eMachines going? Not bad actually, although there are a few kinks to address. 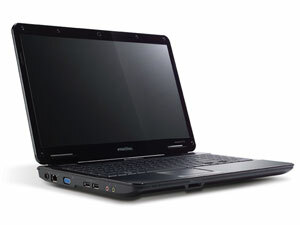 The E725 is a pretty decent piece of kit and it performs admirably in all benchmarks. Build quality could have been better. The shell shocked battery just ruins the general impression, and the keyboard print job could have been a bit better too. The rest of the chassis feels quite sturdy, and it's no worse than low-end Acers or models from other vendors for that matter. It looks a lot better than previous eMachines models, and if Acer decides to keep this value brand alive, future models should be even better. Either is a pretty good choice, they're affordable and thanks to Intel's latest Penryn based Pentium, performance is impressive for this price point.